How old is Sylvester Stallone?! Sylvester Stallone - a poster guy for people over 50. The encourager. Sylvester Stallone Motivational Quotes. How old is Sylvester Stallone?! Sylvester Stallone was born on July 6, 1946, in New York’s gritty Hell’s Kitchen, to … Continue reading The encourager. 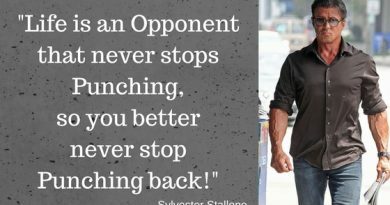 Sylvester Stallone Motivational Quotes.